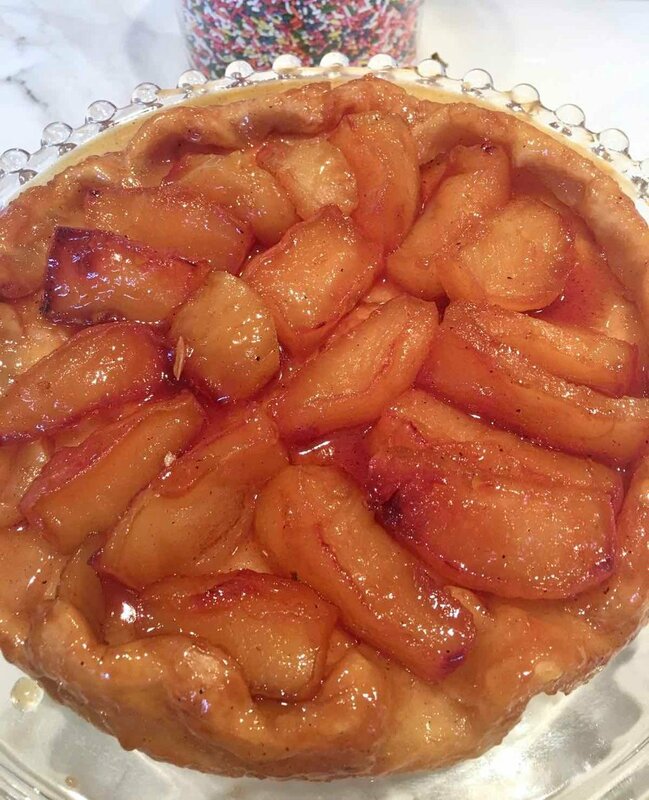 This delicious Apple Tart Tatin makes for a perfect thanksgiving desert. It just tastes so warm and comforting and looks great too! Apple are in season this time of year too making this extra tasty. You can find the pastry recipe here along with our pumpkin and pecan pie recipes if you want to make something a little bit more traditional for dessert. Using a 10-inch oven-proof skillet (we used our cast iron pan) melt the butter and when the butter bubbles sprinkle the sugar evenly over the top and let cook until all the sugar is melted (you can stir it with a heat resistant spatula). Place skillet over medium-high heat and cook until the sugar begins to caramelize. Continue to cook until apples soften and caramel begins to brown, 10 to 12 minutes. Remove from heat. Bake in the preheated oven until crust is golden brown, about 20 minutes. Allow to cool for 5 minutes. Here’s the hard part! 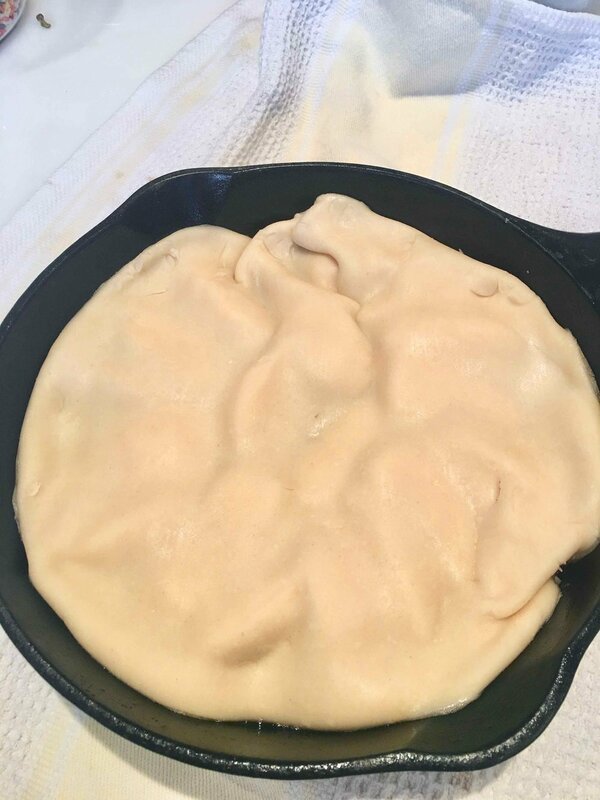 Carefully place a plate or serving platter over the top of the pan and carefully invert (flip it) to release tarte from the pan. Scrape any remaining apples stuck to the pan back on top of crust. Serve with either whipped cream (flavored with a dash of vanilla) or vanilla ice cream. 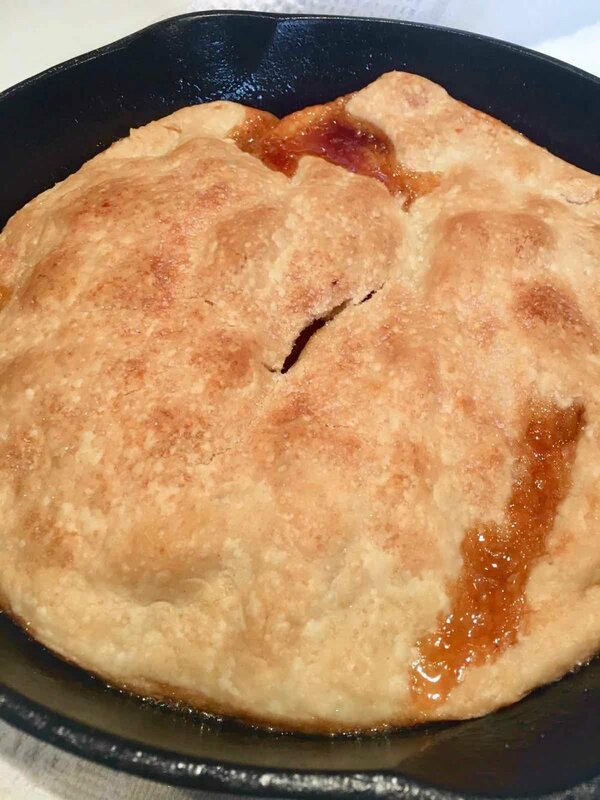 It’s apple picking season so we are baking an apple tarte just in time for thanksgiving! This is a fun and tasty recipe so enjoy!